The Conservatives came under fire this week for only hiring ‘yes men’, after Baroness Sally Morgan, former Labour advisor, was sacked as Chair of the schools watchdog Ofsted. While Education Secretary Michael Gove insisted the decision was “good corporate practice”, claiming there was no political motive, figures ranging from former head of Ofsted Sir David Bell to the Lib Dems’ David Laws were quick to accuse the government of working to an agenda. Labour’s Tristram Hunt said the Department for Education was playing “political games” and others suggested the government were ‘battening down the hatches’ already, as pressure begins to build in the run-up to the 2015 election. The Ofsted Chair role is not the first high profile post in which a non-Tory has been removed. The Arts Council, National Heritage and the Charity Commission have all, of late, seen Conservative loyalists parachuted into the top jobs. Morgan herself said there was “absolutely a pattern” to her dismissal. With nearly half of Sixth Form heads claiming they have had to discontinue core A Level courses because of £100 million cuts by the Department for Education, it is little surprise Gove wants to short-circuit the debate. His decision is a mark of how the Tories have changed – or, rather, shown their true colours – since taking office in 2010. Cameron’s early attempts to detoxify his party and adopt a more conciliatory and consensual approach – Morgan was, in fact, a Tory appointment – have been exposed as a sham. In almost every policy area the Conservatives have fallen back on hard-right policies, designed to placate their backbenchers rather than serve the electorate. Good leadership involved having a range of genuinely independent voices around the top table, not just hiring members of the converted to preach to. Gove’s choice of personnel for the Chair of Ofsted is just the latest signal that the Conservatives are less interested in reasoning with those who disagree with them than they are in appeasing prejudices within their own ranks. Gove suggested on yesterday’s Andrew Marr show that by sacking Sally Morgan he was “refreshing” his team; I’d argue that it’s the government which, after the hubris of 3 years in office, needs refreshing. Getting rid of dissenting voices is not the way of doing this. Speaking of diversity in decision-making, Lloyds Banking Group this week took the radical step of setting a 40% target for the number of women in Senior Management positions by 2020. The figure for the company’s 5,000 senior managers is currently around 28%. The announcement – which is expected to be formally enshrined as a target by CEO Antonio Horta-Osorio – at a speech next week, will make Lloyds the first FTSE 100 Company to set such a goal. Fiona Cannon, the organisation’s head of inclusion said the move made good business sense, pointing out that to be successful the firm’s top brass had to reflect its “incredibly diverse” customer base. I am delighted that companies are starting to recognise the advantages of pluralism. Whilst getting women on boards rightly receives a lot of attention as a means of driving the direction of travel and setting a benchmark, it is vital that progress is not limited to non-exec positions. To make meaningful progress on the issue of workplace equality, we need women to be rising up companies at all levels, so that there is a steady progression of female candidates arriving in senior posts and knocking on the boardroom door. Despite the resignation of David Laws, I have decided to go back to my tradition of book reviews over the weekend. Others will have much to say on Mr Laws. My only commment is that he clearly was in the wrong and had to resign. However, it’s obviously not a good start for the Con-Dems to have the shortest serving Cabinet Minister in living memory. 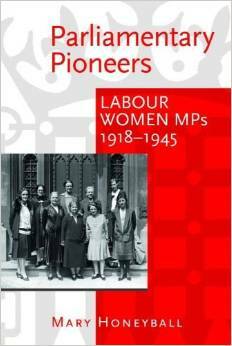 I have to say it’s very comforting to get back to reading after the general election and subsequent goings on. 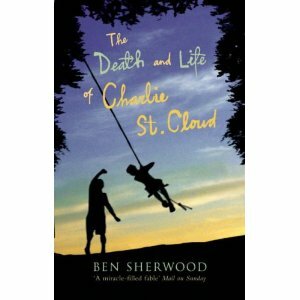 The Life and Death of Charlie St Cloud is a charming little novel full of hope. Set in New Englad, it’s about life, death and the inability to let go of the past. Big subjects indeed, though dealt with in a very easy way. It’s also an optimistic book. In the end Charlie overcomes his fear and takes a risk, a real risk in impossible circumstances. He comes through, as do the other characters. The book is well worth a read, if ony because novels unashamedly about hope are difficult to come by.